What Types Of Things Do Animal Activists Work For? As the world spins ever deeper into the twenty-first century, a plethora of political issues remains unresolved from the last century. One issue that does not get much air time but is considered very important by millions of people across the globe is the issue of animal activism. Though most people consider animal activism unimportant, many people simply can not ignore the unnecessary suffering of animals, and indeed, animals regularly suffer from human activities across the globe. But what is animal activism? At its core, animal activism is distinct from animal rights as animal activism is more about preventing suffering in animals than any kind of far fetched ideas of animals as sentient beings. However, animals can and do feel pain and few people with a conscience can really accept that animals absolutely must suffer. And it should be noted that even in the twenty-first century, animals are still put into intensely painful situations to further human needs as if it were still the days of Early Antiquity, making this a matter that has persisted for thousands of years. Perhaps first and foremost is the abuses heaped on livestock. While many animal activists are vegetarians or even vegans, even people who openly enjoy meat and dairy will usually shudder at the conditions under which meat and dairy animals are treated, according to top animal activist law firms. These animals are kept almost totally still in cages, barely able to move and are generally fed more than they need but rarely anything that’s particularly healthy for them. These circumstances are created in massive factory farms that are nothing like the images of farms from days long by where animals grazed freely and were left in peace until their meat or dairy was needed. The real situation in most “farms” are pretty horrific and even people who are willing to eat meat find themselves pushing the agricultural industry to reform these disturbing practices. In a similar vein, there are the disturbing conditions of many smaller, roadside zoos. 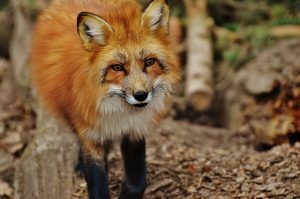 Though reputable zoos create environs for animals to live relatively comfortably with a semblance of their natural habitat, there are far too many shadier zoos putting their animals in far worse conditions. These conditions call to mind the zoos of a century ago where animals lived horribly. Through loopholes in the law, many sketchy zoos are allowed to treat animals poorly. Animal activists seek to close these loopholes as soon as possible. Comments Off on What Types Of Things Do Animal Activists Work For?